Walden Heights Estate is a modern apartment designed for active adults 55+ who wish to be part of a larger seniors campus. 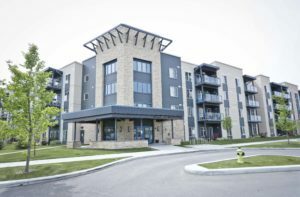 Next door to AgeCare Walden Heights, this building offers spacious 1 bedroom, 1 bedroom + den or 2 bedroom suites in the quiet, friendly neighbourhood of Walden. This building is close to transit, tranquil parks, and green spaces, and backs onto an amenity-rich shopping complex.